Shion 2.1.0b5 is now available. 1. 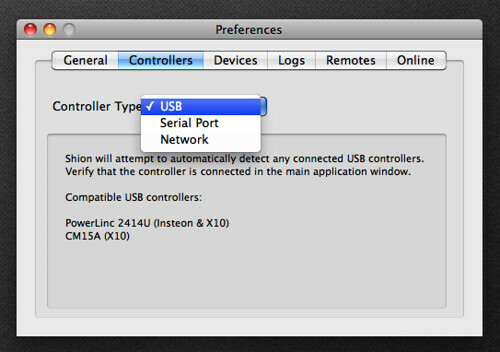 The PowerLinc USB code has been updated to be more reliable. Controller lock-ups were an issue with previous releases, and this update improves that situation. This code is still being tuned, so your command latency may increase with this release. 2. 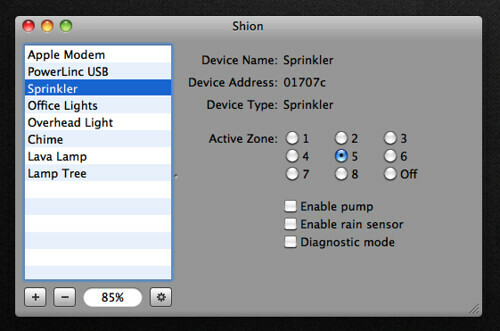 Shion now supports the Smarthome SmartLinc 2414N controller. 3. Sprinkler support remains incomplete, but support for activating zones through AppleScript is now available. Additional device support has been added to the AppleScript dictionary (houses & thermostats). 4. 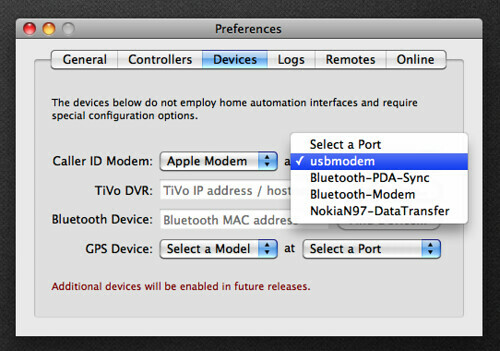 Shion now supports Caller ID events when used with a compatible modem. 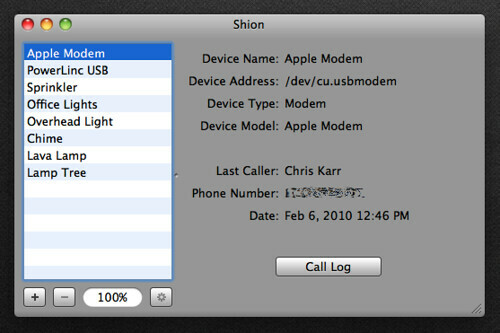 Currently, Shion has been tested with an Apple USB modem. Download the update now, and read more for details about the new features. 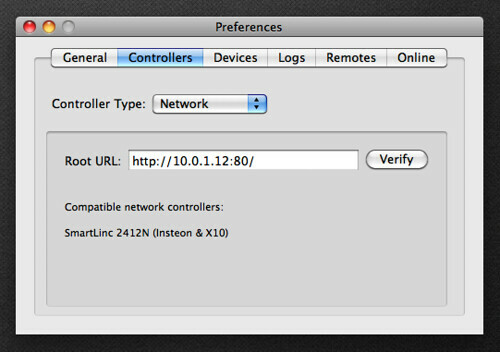 Currently, only the 2412N networked controller is supported, but I have others (such as SimpleHomeNet’s EZSrve) on order. Controller compatibility will improve significantly in the next couple of releases. Currently, you can specify a search string for either the caller’s name or phone number as well as the requirement to match one field or both. 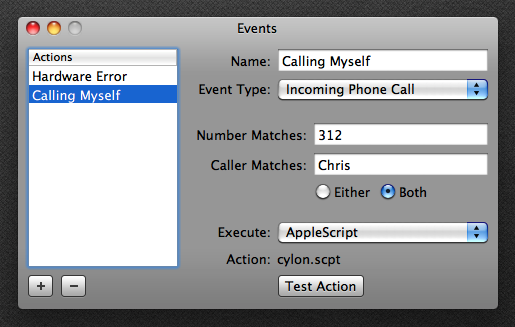 When a match is made, an AppleScript or snapshot can be activated, just like other events. 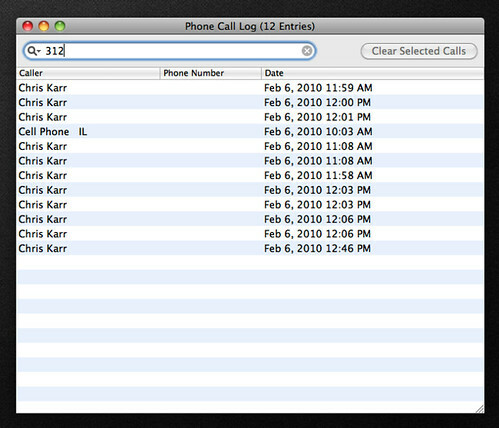 In a future release, I’ll expand the matching features to take full advantage of the local Apple address book. This works well for the most part, but the configuration checkboxes will not be updated from the device. I am in touch with SimpleHomeNet about the issue (older vs. more recent EZFlora firmware). Once this issue is handled, I’ll add support for water consumption monitoring as well. If you have any questions or would like to report any issues, please post a comment below or send an e-mail to shion@audacious-software.com.